One of my friends had the WHALE when we were kids. 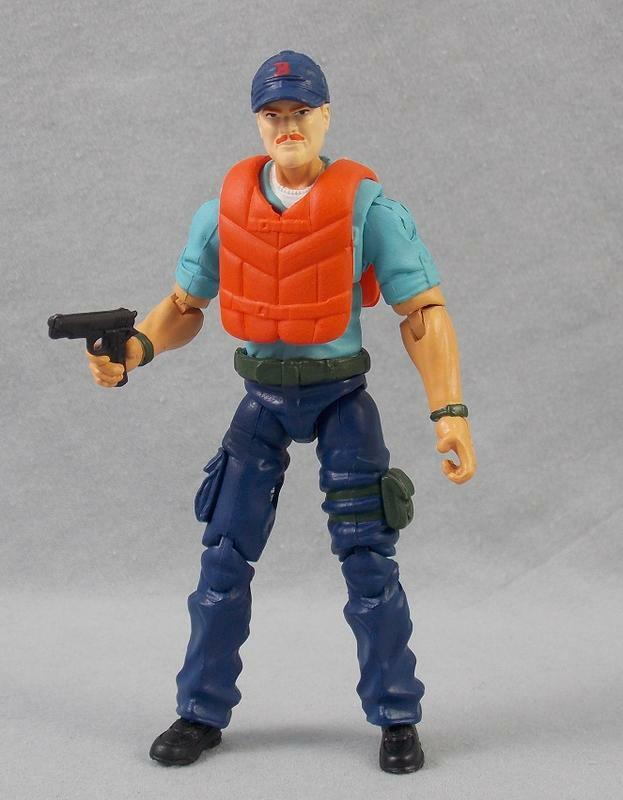 Every time we played GI Joes, the WHALE would always be at the center of the action with Cutter in the lead. In our battles, the Joe team would defend the Transportable Tactical Battle Platform from Hydrofoil and Water Moccasin attacks. Since I got to play with my friend�s toys, I never asked for the WHALE of my own. However, the battles we had using Cutter, led directly to my asking Santa for Shipwreck the following year. I have had a Cutter WIP in my bins for the longest time. I never seemed to get the recipe down. Since I have been revisiting childhood favorites lately, I figured it was a good time to revisit my custom. I have a recipe that I like now, but I may update the life jacket down the line if a better option presents itself. Perfect update. I hate the Gung Ho head on my Cutter. Did the MTF head come in that hair color with the mustache or did you paint it? That's a testament to your skills that I can't even tell what you painted. Love it! So nice and clean. I used those legs and arms on my Cutter, too. A very fine cutter! Well done on the moustache. I actually like the life vest. that's gold, as per usual. I had a whale as a kid and cutter was one of my all time favorites. the whale was my favorite go Joe toy. top 5 toys of all time. I could look at your stuff all day, man.